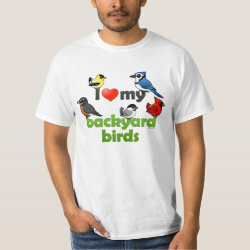 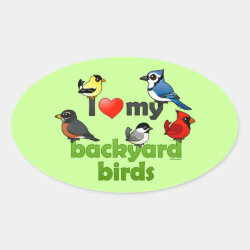 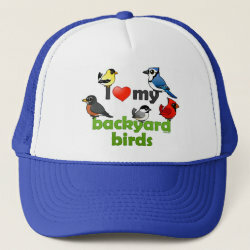 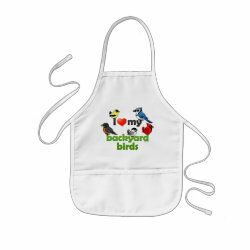 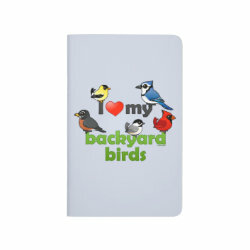 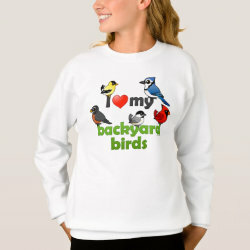 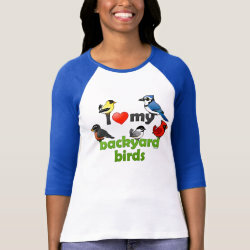 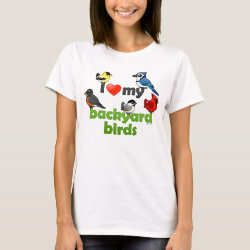 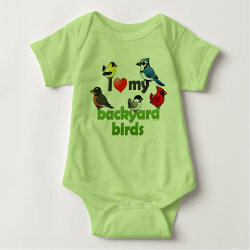 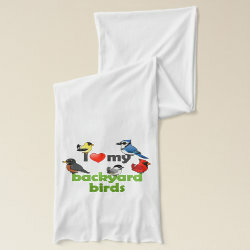 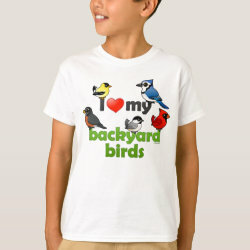 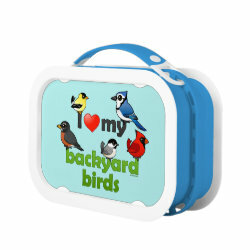 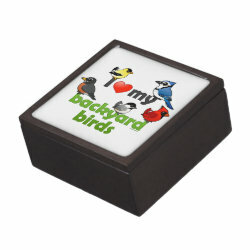 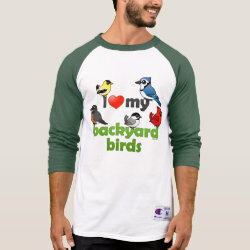 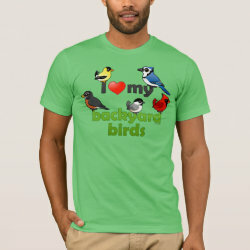 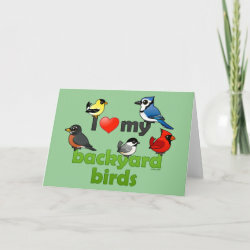 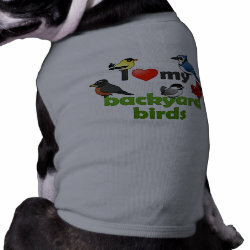 This cute design for backyard bird lovers features a Birdorable cute version of the Northern Cardinal, Blue Jay, American Robin, Black-capped Chickadee, and American Goldfinch. 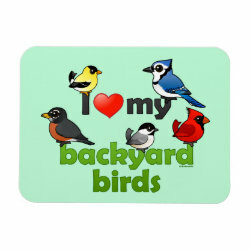 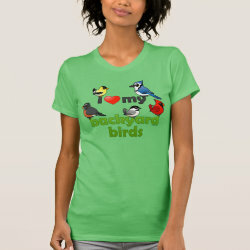 Text reads I love (heart) my backyard birds. 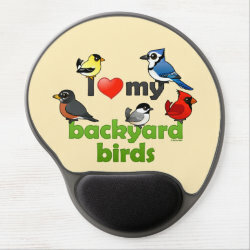 This original design makes a great gift idea for nature enthusiasts, backyard birdwatchers, and anyone who loves cute birds!